With a speed exceeding 200 miles per hour, a new company plans to transport people between Dallas and Houston in only 90 minutes by 2021. 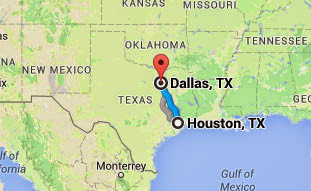 Houston and Dallas are the nation's fourth and fifth largest cities. By using the Japanese N700 Takaido Shinkansen, known as the Japanese Bullet Train, planners say the 50-year perfect safety record and an annual delay of less than one minute make it a proven train to power the project, meeting and exceeding state and federal regulations on security and safety. The company founded by private investors to build and operate the railroad, Texas Central Railway, has been in the planning stages of the project for several years and are in the final environmental impact statement phase, required by the National Environmental Policy Act. Texas Central Railway owners plan to operate the railway on a for-profit basis. It would be the only large-scale private passenger railway in the nation. If the project is approved by regulators, construction will begin as early as 2017. Texas Central Railway officials are confident the plans will succeed and have said the train will be in operation in only seven years, in 2021. Both Dallas and Houston metroplexes are experiencing a surge in population, with 6 million residents each but expecting to double by 2030. Travel time to make the 240-mile trek by car between the two cities takes four hours. The private company with offices in Houston, Dallas and Washington, DC said the cost for building the high-speed line will be $10 billion. A company spokesperson said they will not accept government funding. On the other hand, California's taxpayer-funded high-speed rail between Los Angeles and San Francisco, with a distance of 380 miles, will cost $68 billion. Texas Central Railway officials said costs are low because the land is relatively flat between the two metroplexes and they planned to use existing right-of-ways near high-tension power lines between the two cities, instead of buying private land. California has few right-of-ways and the land between Los Angeles and San Francisco is rugged. Despite being privately-funded, Texas Central Railway expects to make use of the government's power of eminent domain, which has many rural landowners upset that their land could be taken from them. At a mandated scoping meeting in Houston, 200 citizens attended to voice their concerns about the plans. Kyle Workman, a resident from rural Leon County, said his family land would be "cut in half" by the railway. Susan Baest, from rural Waller County, said she and her neighbors were unaware of the project until recently and discovered some of the plans had the train running through their property. In an interview, she said "we were railroaded in the process." Texas Central Railway said the double-track system for the bullet train only requires 80 feet in width, including security fencing. Unlike government plans, the railroad company said in a statement that land owners would retain mineral, oil and gas rights that make a large percentage of many rural land owners' income throughout Texas. In a statement, Texas Central Railway said they will work closely with landowners and communities "on ways to safeguard their ability to farm, ranch, commute and generally go about their lives." 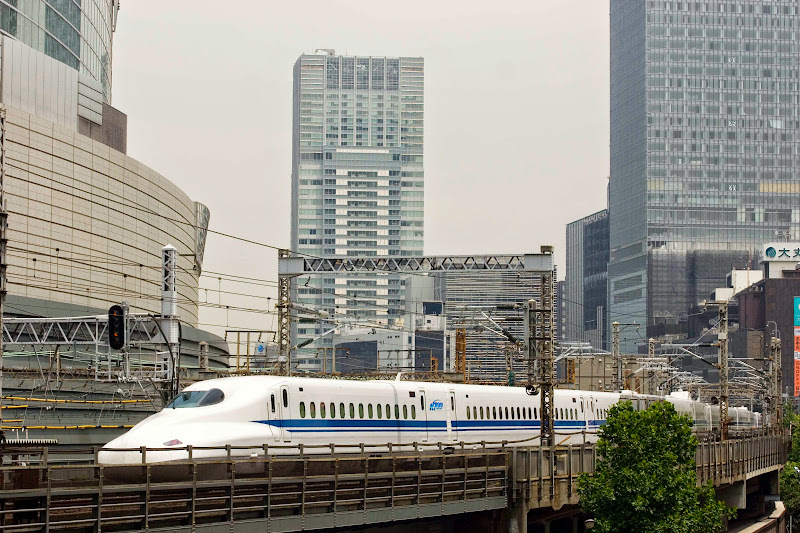 By purchasing Japanese high-speed trains, Texas Central Railway is working with Central Japan Railway Company, JR Central, that operates 323 high-speed passenger trains each day between Tokyo and Osaka. Texas Central Railway said that JR Central's experience and technology will help the Texas trains exceed safety levels than those in use in the US today. The Japanese train operator's experience has shown that a dedicated line of passenger traffic unimpeded by traffic crossings, as well as not sharing the lines with freight, will increase safety. Texas Central Railway also expects to use JR Central's signaling, track work, communications technology, and operation and maintenance regimen.